This evening I was loading my truck to make a delivery. At least once per week am running out the door after closing to deliver items when my cell phone rang. After lifting a large desk into the bed of my pickup truck, I was initially dreading the call. This customer has canceled before after I loaded the truck. But this was different. 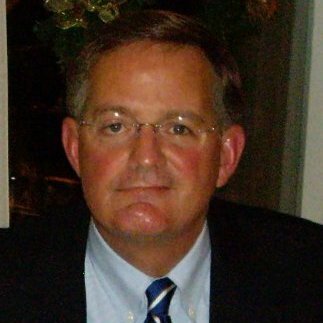 The call was from American Numismatic Association Executive Director Kim Kiick. As chair of the Technology Committee, or I think we are now called the money.org committee, we discuss issues that arise making a call from Colorado Springs not surprising. After securing the desk, I did not listen to the message. I just called her back. Today’s call was different. 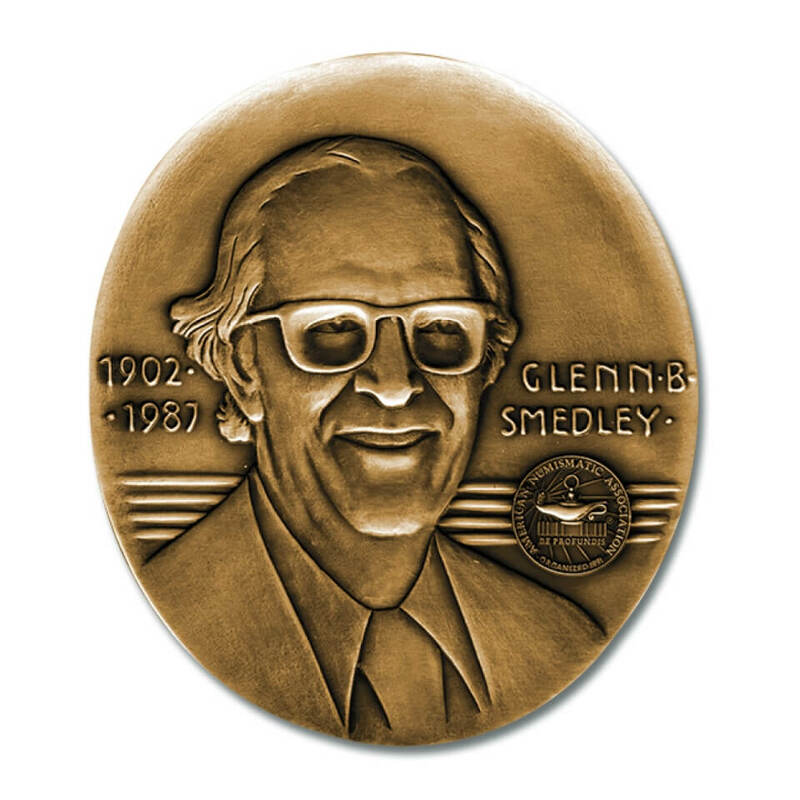 Kim was not calling me to discuss an issue but to give me the news that the ANA Board of Governors has selected me to be the 2019 recipient of the Glenn Smedley Memorial Award! I was and am still SHOCKED! And very honored!!! I became a member of the Technolgy Committee a few years ago after publishing many articles on this blog about how far behind the ANA was in the use of technology. It was a chance to put-up or shut-up. When the chair of the committee resigned, I was asked to succeed him. That was not a problem. I continue to believe in the mission of the ANA, and I believe that the only way to bring in younger members is to find ways of making the ANA more technology aware. I was not doing this for awards–especially now that I am trying to run a business. I am rarely overwhelmed. Then I went to the website to see the list of past recipients and I am in absolute awe of the decision. The award will be presented at the World’s Fair of Money this August. I should probably make arrangements to be there! THANK YOU TO THE ANA BOARD OF GOVERNORS FOR THIS HONOR! Did you know there was a big coin show in Pittsburgh? The National Money Show was held this past week in Pittsburgh with a rousing silence. There was no news. No announcements. Nothing. It had to be one of the quietest shows in recent memory. Although I could not attend, I was waiting for something to come across my email to let me know that the numismatic industry is alive, well, and enjoying Pittsburgh. Pittsburgh is a really nice place. It has shaken off its past as a result of the steel mills closing and has really turned itself around. Its redevelopment was well underway when I attended Carnegie Mellon for graduate school. It has only become better. Since it is baseball season just two off-topic notes about Pittsburgh. Did you know that the last home plate used for Forbes Field is under glass in the main hall at the Pitt Law School? It’s not the exact location but close enough. Also, behind the Law School is what remains of the left field wall. It was left in tribute to the Bill Mazeroski game-winning home run against the Yankees in the 1960 World Series. Did someone go to Pittsburgh for the National Money Show? Or did they go out and ride the Duquesne Incline, visit the Strip District, tour the Heinz History Center, or relax in Schenley Park? There are great places to eat on the South Side including at Station Square, but there was a show going on. What happened? Instead of worrying about whether a kids-oriented set sold by the U.S. Mint is good for the hobby, maybe the hobby has to think about letting the world know that it still exists! Good morning from the Pennsylvania Convention Center in beautiful downtown Philadelphia where the American Numismatic Association World’s Fair of Money is being held. I made to Philly last night after closing shop and will be spending the day here. Tomorrow morning I will be attending the Board of Governors meeting as Chair or the Technology Committee and then will head back to the D.C. area. First on the agenda this morning is the e-Learning Platform Presentations. For those who do not know, the ANA is looking to expand its educational mission by offering courses online, something that has been on my agenda for many years. It is an open session in Room 122A of the Convention Center. While it might not be the most exciting of the sessions, it is important to the future of the ANA. The presenter will be Blackboard, D2L, and eINNOV8. I have heard and used Blackboard when I was an adjunct professor with the University of Maryland System. For me, it will be interesting to see what has changed. The others I have never heard of until this exercise. Seeing how they differentiate themselves will makes it interesting. For the rest of the day, I will be live Tweeting @coinsblog from the Convention Center. I will try to post a summary tonight. Stay tuned! 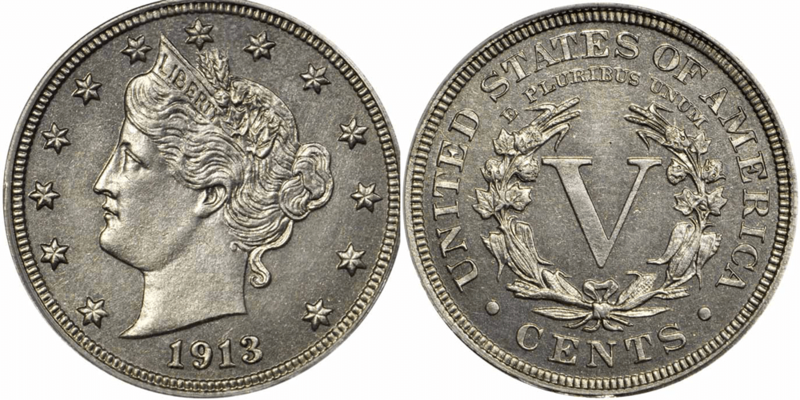 Trying to keep up with the news in the numismatic community has been like trying to keep up with the news in Washington. This week it was coming in fast. The bottom line is that next week is the American Numismatic Association’s World’s Fair of Money in Philadelphia. 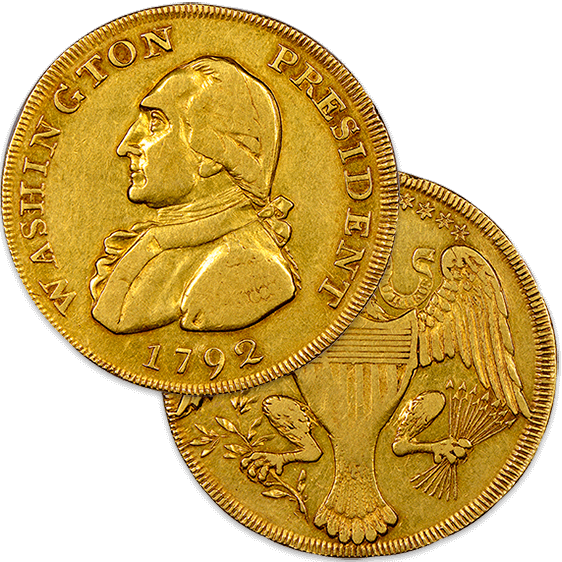 The ANA Museum Showcase will feature the finest known 1792 Half Disme, formerly owned by the first United States Mint Director David Rittenhouse and other rarities. The Numismatic Crime Information Center will offer a one-day training class on “Numismatic Crime Investigations” for local, state and federal law enforcement officers. PCGS will also display one of the 1787 gold Brasher Doubloons and seven of the finest known 1780s New York colonial era copper coins in an educational exhibit. The U.S. Mint will display three 1933 Saint Gaudens Double Eagle gold coins including a previously undisclosed specimen that was voluntarily and unconditionally given over to the government by a private citizen who requested to remain anonymous. The finest known 1794 Flowing Hair silver dollar, graded PCGS MS63+ CAC, will be displayed at the Tangible Investments booth. ICTA’s Anti-Counterfeiting Task Force will exhibit a five-case display of counterfeit coins, precious metals bars, and grading holders on special loan from the Cherry Hill, N.J., office of Department of Homeland Security. These items were confiscated during their investigation of Jonathan A. Kirschner, who pleaded guilty impersonating a federal agent while selling counterfeit coins and bars and unlawfully importing counterfeit coins and bars into the United States. 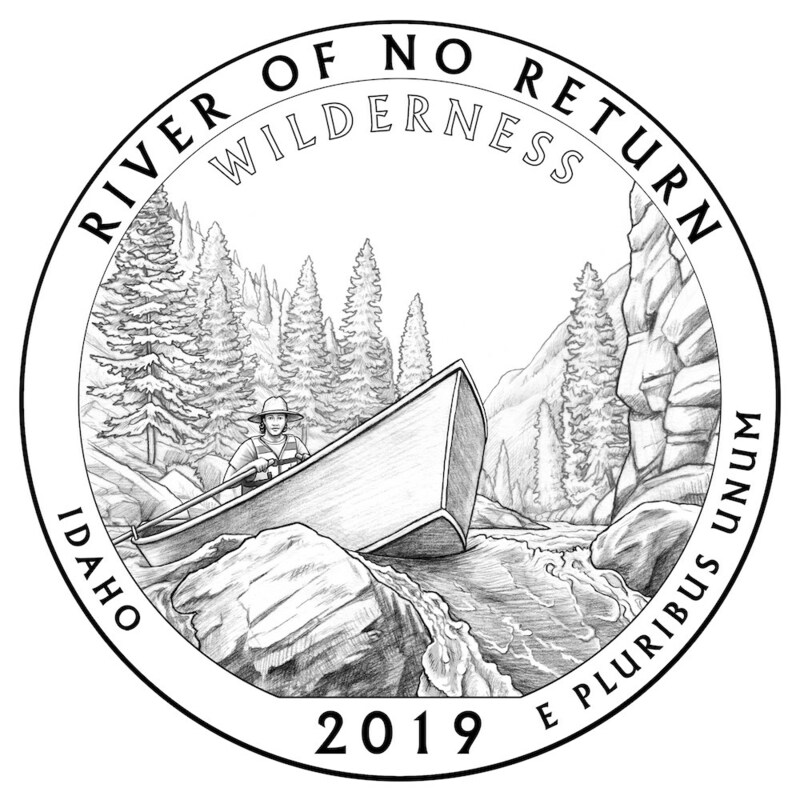 The ANA, Numismatic Literary Guild, and others will be presenting their annual awards during the week. In other words, it will be a jam-packed week for the numismatic junkie. Too bad the show cannot be live-streamed for those of us who either cannot attend or will only be able to attend for a short period of time. I will attend the World’s Fair of Money on Thursday and will leave after the ANA Board Meeting on Friday morning. More on this later. Local lord gifted £1.8m – in coins! With a lot of the international news focused on the finding of ancient coins buried in old ruins, the story that caught my eye came out of Colorado Springs. Glenna Goodacre, the designer of the Sacagawea Dollar and a graduate of Colorado College in Colorado Springs, donated several items relating to the design of the dollar coin to the American Numismatic Association Money Museum. Donations include several plaster and bronze casts of the coin that were used to test the design and show the relief of the coin. There is also a plaster cast with an alternate version without her baby, Jean Baptiste Charbonneau, on her back. News of the donation was published on Friday, July 13, 2018. According to the article, ANA communications coordinator Amanda Miller said that there were no immediate plans to display these items. Following a significant donation, the ANA will issue a press release. When they do, it would be nice to read that some of these items would be on display at the World’s Fair of Money next month in Philadelphia. Normally, I do not directly publish news items but this is important for the entire community. Did you receive an email or call trying to sell you a Philadelphia World’s Fair of Money hotel room? The ANA did not authorize this. It has come to our attention that a third-party booking company inaccurately representing itself as our hotel vendor is contacting ANA members, dealers and exhibitors, offering to book you a hotel room at the ANA World’s Fair of Money; some even provide a promotion code or will misrepresent that they are calling from the hotel. ANA is not utilizing any housing service vendors for the Philadelphia World’s Fair of Money. Nor has the ANA shared your email with anyone. Room reservations for the Philadelphia World’s Fair of Money should be made directly with the Philadelphia Marriot Downtown (the show’s host hotel) either by phone – 1-888-236-2427 (mention ANA World’s Fair of Money to secure the group rate) – or via our website at www.money.org/worldsfairofmoney/lodging. Should you want to stay elsewhere, we strongly recommend calling the hotel directly or using a reputable online service such as Hotels.com or Expedia.com. If you provide your credit card information to any of these unauthorized vendors, your card may be charged but you may not have a reservation when you arrive in Philadelphia. Unfortunately, this is a well-known scam perpetuated on unsuspecting conventioneers across the country. If you have any questions about the World’s Fair of Money hotel block, or general questions about the show, please contact Jennifer Ackerman at ackerman@money.org, Christie Cooper at ccooper@money.org, or call the ANA Convention team at 1-888-448-3262. Complete information about the show is also available online at www.worldsfairofmoney.com. Did you know that January is National Hobby Month? Letter from the ANA received in February. 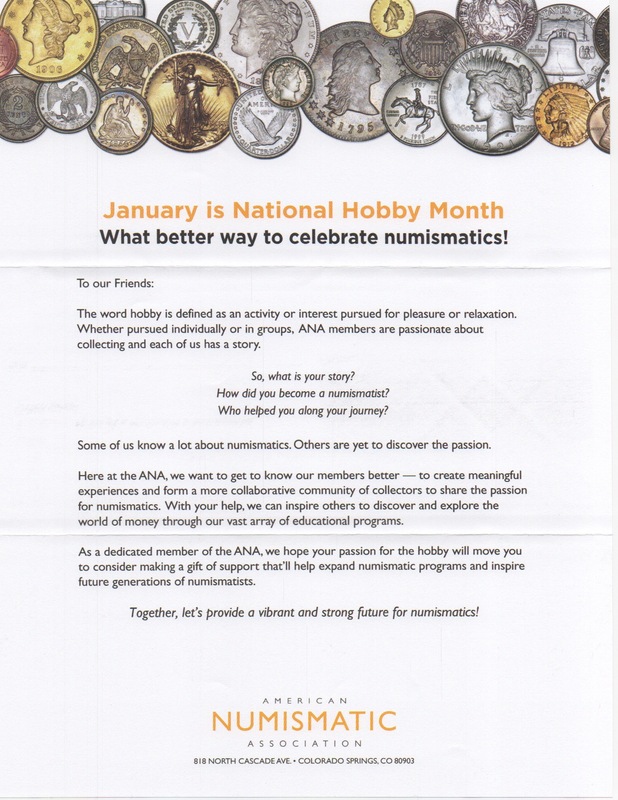 Yes, but I did not know that January is National Hobby Month until I received a letter in the mail from the American Numismatic Association informing me of this fact. The ANA, like other non-profit organizations, periodically send out what I like to call “beg letters” to members and those who have previously donated in order to solicit donations. There is nothing wrong with these letters. In fact, when I can I do respond to the organizations I regularly contribute to including the ANA. What is unusual about this letter is that across the top, it tells me that January is National Hobby Month after being sent and received in February. Since this came on a Friday and it was not opened until after hours, I have not attempted to contact the ANA to ask about this letter. However, if the ANA wants to tell me that January is National Hobby Month, maybe they should do it in January. I guess things went well at the American Numismatic Association World’s Fair of Money. There seems to have been a little reaction on social media and some input from the regular numismatic media, but for the most part, I am going to have to wait until my coin club meeting on Tuesday to speak with those who attended. My week has not been without the ability to acquire numismatic items. 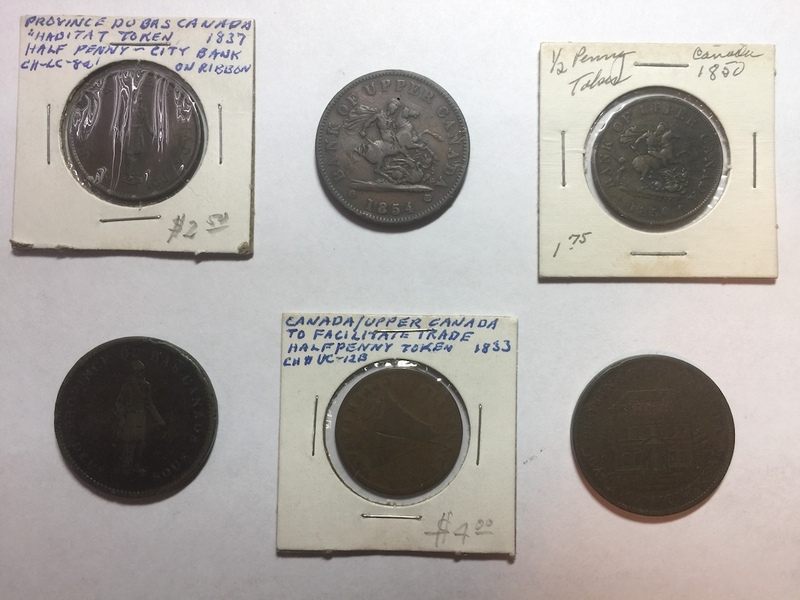 While rummaging through an estate sale I found some Canadian tokens. Since I own a copy of the Breton book, Illustrated History of Coins and Tokens Relating to Canada, this will give me a chance to look into the few token I was able to buy at a very inexpensive price. Who knows, maybe this will spark another collection interest! Finally, I want to wish my brother Joel a Happy Birthday. I cannot believe the old man is 53! Did Alexander Hamilton hold this coin? Why isn’t the World’s Fair of Money being live streamed? 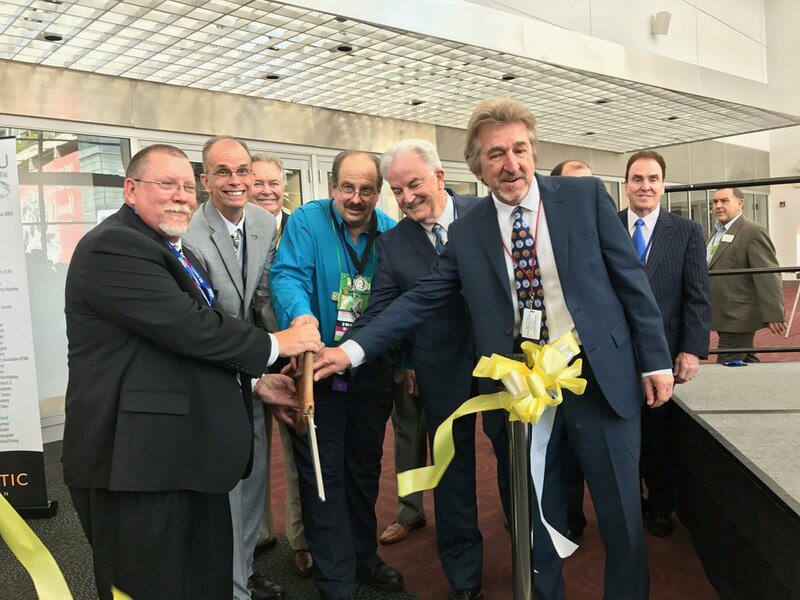 Ribbon cutting at the opening of the 2017 ANA World’s Fair of Money. Why isn’t the show broadcast for those of us who cannot attend? Once again, work obligations have prevented me from traveling to attend the World’s Fair of Money. Unfortunately, it has been a few years since I was able to attend. I want to go. I want to be there. But since I am not a dealer, Real Life becomes a deterrent. Since the American Numismatic Association Technology Committee was formed and I was asked to be a member, I have been calling for some way to bring parts of the show to the public that cannot attend. It is not like there is a big technological barrier anymore! Twitter has the capability to allow for streaming but I have been told that there are some technical issues that make streaming for a long time a little difficult. Minimally, a standard smartphone could be used to stream videos. Instagram videos have a one-minute time limit that could also be used those quick hit items. YouTube has a streaming service but there is a question about accessibility. Google makes YouTube unlimited streaming available through YouTube Red service, their paid service. There is a way to add shorter streaming content on YouTube but it is not as easy. But if you want easy, there is always Facebook! The easiest way to stream video on Facebook is the open the Facebook app on your favorite smart phone, go to your timeline, the press the button that says “Live” where it allows you to send an update. The app lets you adjust the camera before you press the button to go live! Someone does not have to hold a camera. There are adapters for any smart phone that will allow one to attach the camera to a tripod. For a little more money, a used 720p high definition camera could be purchased, interfaced with a computer, and the video streamed to both Facebook and Twitter. There is switcher-like software that will take the audio and video from the camera and broadcast it using both sites. Someone could have broadcast the opening ceremonies. There could be on the bourse floor interviews including at the Whitman booth where famous numismatic authors will be there for autographs. The U.S. Mint has introduced the 225th Anniversary Enhanced Uncirculated Set. A camera could be brought to their booth to show the set. Every Money Talks presentation can be live streamed. Award ceremonies could also be live streamed! For those of us who cannot attend, having access to video of the show may not be as good as being there but is a darn good substitute. And the best thing about these videos is that they can live on forever! The broadcasts on Facebook and Twitter will remain on those sites for those who cannot watch live. The videos can be captured and posted on YouTube. Basically, it is requesting that the ANA being accessible to everyone. It is the ANA being the numismatic resource. [FADE FROM BLACK] “We are here on the bourse floor with Joe Dealer to talk about the show.” But what you did not see is that Joe Dealer donated money to the ANA for that access. Remember, the ANA is a not for profit organization and needs the funds to do this. Larger corporate sponsors could participate. It is not like some of them are video streaming virgins. Both Heritage and Stacks-Bowers will be live streaming their auctions at the show. This is not the first time either company has provided these types of auctions. Live streaming can benefit everyone. The ability to introduce more people to the hobby is invaluable. You can promote the ANA, dealers, and the hobby. If you like what you see, come join us. The more people who become interested can become members. Image downloaded from @BEP on Twitter.